CoConstruct allows users to work with ease regarding project estimates, specifications, selections, bids, change orders, budgets, etc. with no double entry. A subscription includes the fully integrated financial system for streamlining scheduling, communication, client and subcontractor portals, files, photos, to-dos, time clock, job log, warranty, and more. The construction industry requires detailed attention to both the office and job-site. 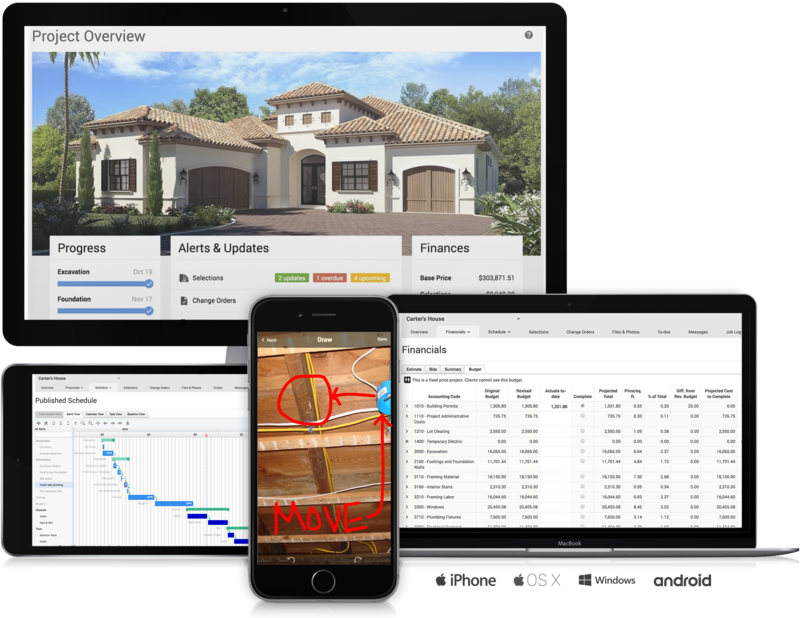 Users can easily schedule, organize and maintain information throughout the construction process. Subcontractors may require some training or orientation if they are not familiar with the software. Master for communication and organization, i.e. schedules, timelines, pictures, plans, you name it. Assists with transparency for the owner, it's easy to understand as well. The mobile app could use some further development. Flexible software, therefore it requires time to set up the project how you desire. The integration with Quickbooks is limited. CoConstruct is the only single-entry estimating system that allows each user to enter a piece of information once, and have that data flow directly from the estimate, specifications, selections, bids, change orders, budgets, and to and from QuickBooks with no double entry! It also has various other capabilities as well, such as scheduling, communication, portals, files, photos, to-dos, time clock, job log, warranty and more - making it a total stand out from the competition! Helps to keep the schedule on track. Allows for ease of communication, eliminating open ends within the project team. One time entry with information carrying though different aspects of the project, saving time and money! CoConstruct pricing is based on active job sites that have client access online, which means it is adaptable to builders & remodelers businesses. This means that there are an unlimited amount of projects available for estimates and proposals, so that customers only pay when they win a contract. Also built into the pricing are a myriad of services: a dedicated implementation coach, free estimate & scheduling templates based on industry best practices from successful builders and the NAHB, unlimited storage and users, software branded with the customer's logo, unlimited amount of warranty projects, and unlimited phone & email support. The vendor offers a money-back guarantee that is good for the first 90 days of service.